Jeesh, Amy. It's four o'clock in the morning! Yes, you did figure right - sometimes I do write in the middle of the night. Nevertheless, I'm very surprised you're not sound asleep. I'm sure you told me that you love your bed in the 19th century because the mattress is filled with feathers. So ... what's up? You're frightened? Of what? Oh, okay. I get it now. You read a short story by Edgar Allan Poe in a magazine? And now you're listening to every little squeak of the floorboards and every skitter of critters in the walls? And it's terribly dark? First of all, light a candle. There should be one on the table beside your bed. Okay, what was the poem in the magazine called? THE TELL-TALE HEART? Probably not a good story to read just before going to bed. 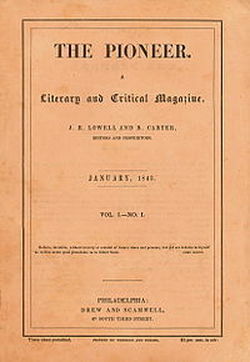 The Tell-Tale Heart was first published in 1843 in "The Pioneer" - 24 years ago from when you currently live in 1867. The narrator, in first person, describes to the reader a murder he is going to commit on a man with an "evil eye", all the while insisting he is perfectly sane. After the murder, he dismembers the body and hides it under the floorboards. He swears he can hear the victim's heart beating. Oh, sorry. Of course there's no body under the floorboards of the house you live in. I'll simply tell you a bit about Edgar Allan Poe while you try to calm yourself. Edgar Allan Poe was born in 1809 and was best known for his short stories and poetry, often mysteries and the macabre. He enlisted in the army in 1827 and this is when his career as a writer began, although he made little money. He was the first author to try to make a living from his work of prose and poems. In 1836 he married his 13 year old cousin, Virginia. In January of 1845 he published one of his most famous poems, "The Raven." You've probably heard of it; it became an instant success. Although Poe died at the early age of 40, his work has appeared, and will continue to appear, in books and on film and television.